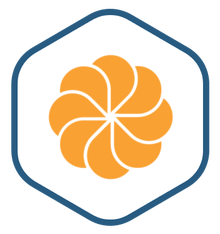 Alfresco Community image is secure, up-to-date, and pre-configured to work out of the box. Alfresco is an open source, Enterprise Content Management (ECM) system that includes a repository for all types of documents and records and an integrated business process management solution. Alfresco is an open source Enterprise Content Management (ECM) system that is used to manage the entire lifecycle of documents and records and their associated business processes. When important files like contracts, engineering documents, product roadmaps, and marketing collateral are jumbled into a disorganized shared drive or spread across multiple silos, the resulting chaos is a drag on business efficiency. Alfresco brings order to the chaos by controlling where and how content is stored. It also maximizes the value of content by integrating it into business processes. Powerful features include instant search suggestions, smart folders that group content by type rather than location, and integration with popular productivity apps and services such as SAP, Office, Sharepoint, Google Docs and IBM Lotus. Complete enterprise content management system: document management, web content management, records management, access control, and collaboration. Brings order to the chaos engendered by data silos and unorganized shared drives. Easily install hundreds of community-developed add-ons and plugins to add unique value for your particular use case. Out of the box integration with many other enterprise applications such as SAP, Microsoft Office, Microsoft Sharepoint, Google Docs, and IBM Lotus.